The shape of last week's avocado inspired me to duplicate that shape with the egg. 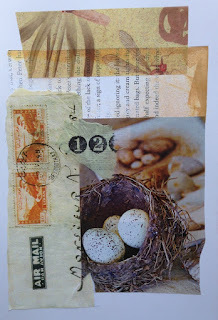 The nest image, one of my favorites, was in my paper pile, started the inspiration. The piece at top is a scrap of beautiful printed vellum. I love taking all the leftover scraps and giving them a new home! 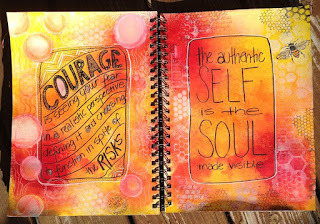 Linking to Artsyville's Glue It Tuesday. 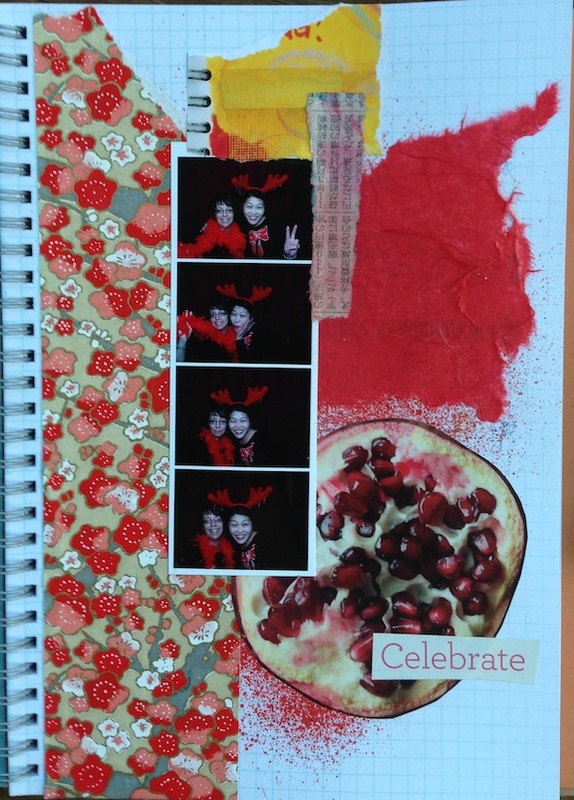 I want to share a spread in my Glue/Smash Journal. 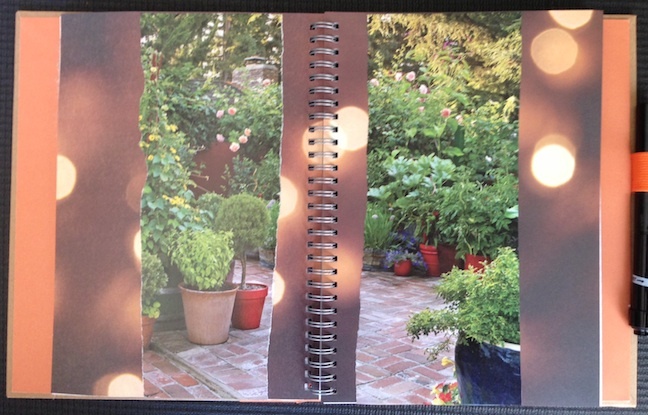 The background papers were already there, but they reminded me of summer patio lights. I was saving this container-gardening magazine page (because I want a patio like that), so I tore it in half and glued it here. Every time I look at it, I'm transported to a summer night with patio lights, warm breezes, and lots of green plants. I had some fun making cards today --- a get well card and baby card. 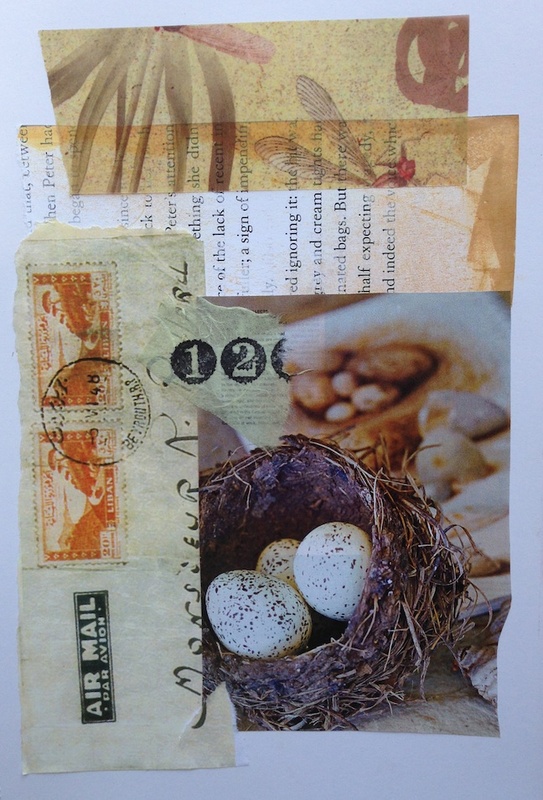 The bird images are from ArtChix Studio and the bunny was stamped, embossed and painted with Radiant pearls. It's my signature card for babies! I forgot how much fun this is -- when I have time! 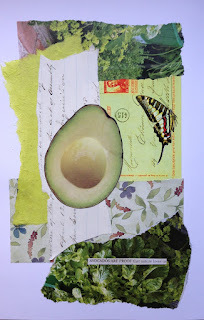 I found this lovely avocado in a magazine, but the caption was what inspired me: "Avocados are proof that nature loves us". So I was thinking about dear Mother Nature when I found pieces of green in my paper pile and this was the result. I guess there's more tearing than cutting, but it's definitely glued. 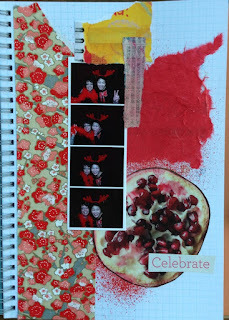 Here's my latest glue project for Artsyville's "Glue It Tuesday". 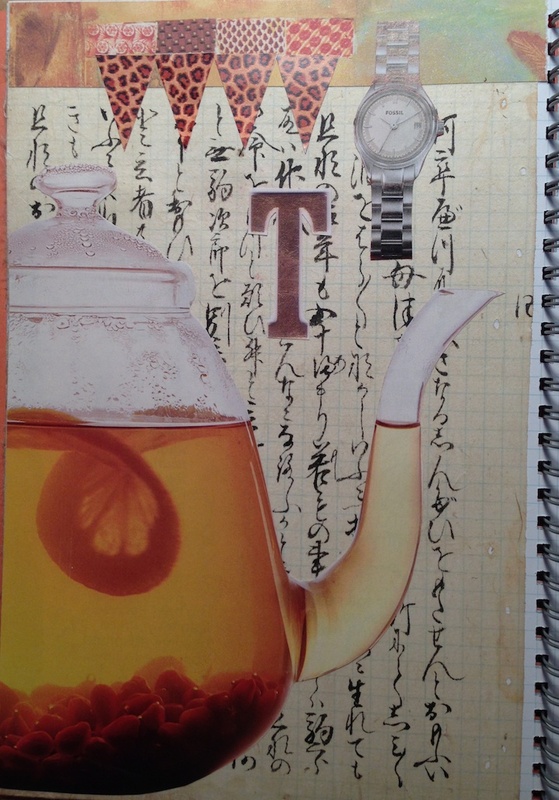 I worked with some color copies from previous journal pages and layered some Japanese writing tissue paper and printed vellum. 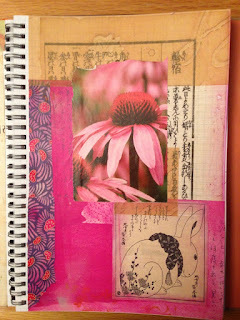 I've always loved the coneflower image -- so now it has a home! 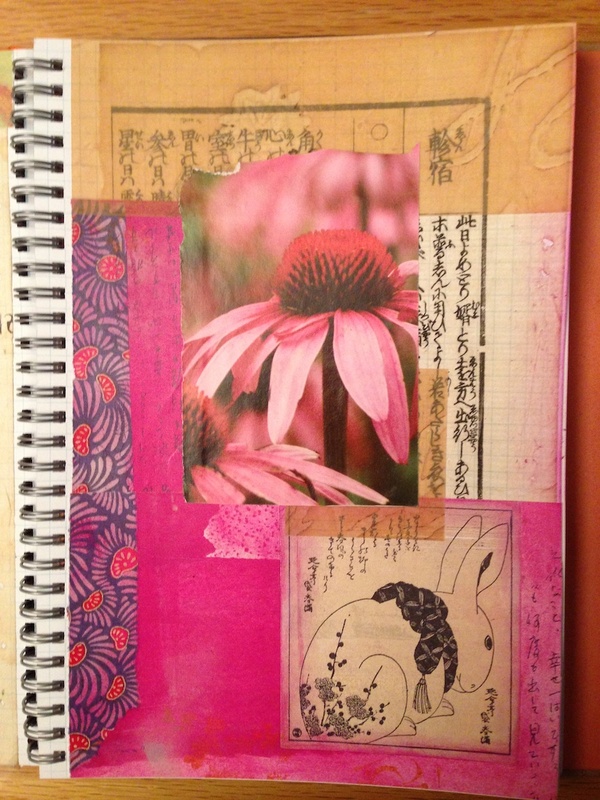 Here's another attempt at cutting and pasting into my glue journal. 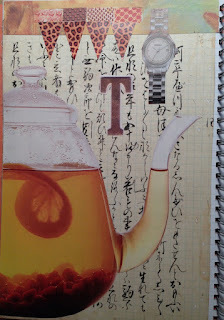 This was inspired by a tea pot in a magazine and thinking about "tea time". I cut the watch out of a Fossil catalog last Christmas (and Santa delivered it!) to add to the page. I made it in time for Artsyville's "Glue It Tuesday". It was relaxing to simply cut out shapes and glue to the page! We're all loving the warm spring, sunny weather. So you may notice the warm sunny colors and the fact that I took this photo right on the deck! 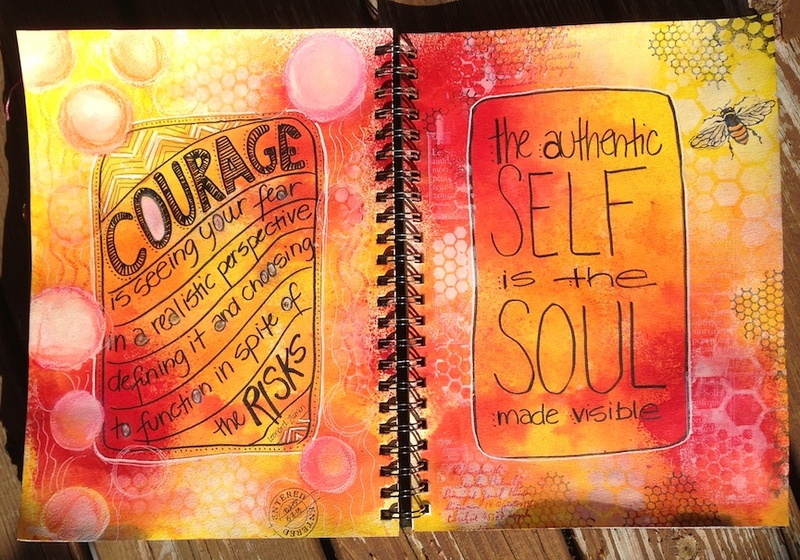 Since work is the busiest time of year for me, I struggle to spend a few hours a week on my art journaling. I wrote some quotes directly in my journal, again inspired by my Divine Contract class I am taking. These were written pretty quickly, but I'd like to take more time doing some lettering. I love using rubber stamp alphabet sets, but wanted to try something different. I've always enjoyed typography and lettering but just haven't done it in a while. So I will be practicing up on my lettering, but for now, I could complete this for the weekend. My new Smash journal will be used as a glue book. Just cut and paste and glue! Sounds so simple to simply cut, paste and glue. I've been cutting and pasting all my life. There are times at work that people are amazed I can actually make a small sketch or cut and paste pieces together without doing it "on the computer". Oh well, we all have our special talents! I have been intrigued by Artsyville's "Glue It Tuesday", so here is my first attempt. It's just a start, but I had this photo and didn't want to lose it, so this started my first page. Thanks, Maggie, for the inspiration!